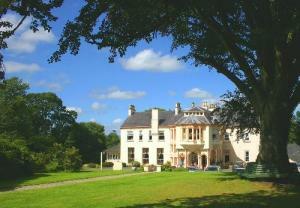 Choose from 135 hotels and guest houses in Northern Ireland. Shown below a just a selection of the hotels available. To search within an area please use the menu on the right. 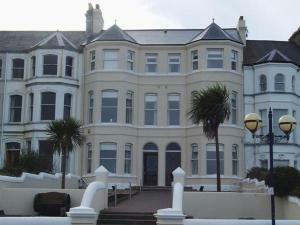 Situated in an elevated position overlooking the marina, this well reputed and respected guest house occupies a superb setting in the seaside resort of Bangor, County Down. Boasting excellent links to airports, rail and bus stations, the house was renovated in 2005 to offer all modern comforts in each of its 11 rooms. 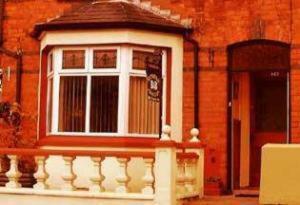 The house has private parking and is an approved Northern Ireland Tourist Board member. During your stay you can relax in the Blue Flag marina or explore the wonderful historic sites, including Bangor Castle and the Abbey, which dates back to the 1st century. 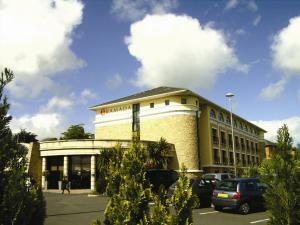 Situated on the banks of the Ballinderry River on the outskirts of the historic market town of Cookstown, is the Glenavon House Hotel.This 3* hotel's central location in Northern Ireland makes it an ideal base for the business man and tourist alike as it's within 1 hours drive of most of the province. With facilities including 62 award winning bedrooms, the hotel also boasts super Leisure and Conference Centers which compliment the excellent dining and bar areas within the hotel. Famous for its chef's fantastic Ulster Breakfast, Maranatha sits on the busy Ravenhill Road, two miles from the city centre and a short drive from the George Best City airport. The local area offers an abundance of shops, bars and restaurants as well as the renowned Ravenhill Rugby Pitch and is local to the Odyssey and Waterfront Hall. All ten rooms in this restored Victorian house are en suite, each having been decorated to an individual style offering superior facilities to its guests. Only a short walk from the beach, this family-run guest house is located in the seaside town of Portrush, just off the A2 and the A29, with easy access to the attractions of Ireland's north coast. Aaranmore Lodge Guest House is just a short stroll away from West Strand, one of the town's 2 exceptional beaches. The convenient location means that the guest house offers easy access to the Giant's Causeway, Dunluce Castle, Carrick-a-Rede Rope Bridge and the Old Bushmills Distillery. All that Portrush has to offer is within easy reach, as are the attractions of the North Antrim area. The renowned Royal Portrush Golf Club is on the doorstep and there are 8 other superb golf clubs within easy travelling distance. 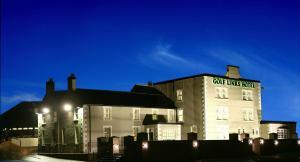 Aaranmore Lodge offers comfortable bed-and-breakfast accommodation in spacious, comfortable, modern rooms. 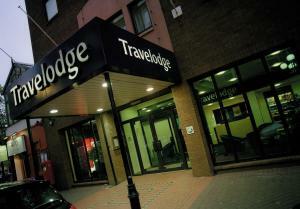 All rooms are en suite, with TVs, radio alarm clocks, hairdryers, tea/coffee making facilities and free wireless internet access. A computer is available for guests' use. 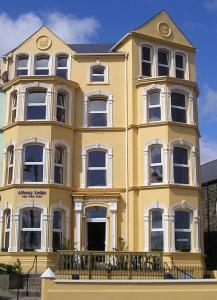 Albany Lodge, award-winning Guesthouse, offers luxury accommodation in the heart of Portrush with outstanding views. Overlooking the Atlantic Ocean, White Rocks beach and the Skerries. Situated in the centre of Portrush close to the bustling Harbour, restaurants and nightlife and only a few minutes walk to the two blue flag beaches and a short distance from the world renowned Royal Portrush Golf Course. Albany Lodge provides luxury accommodation for a relaxing golfing break, that romantic weekend, or for the business traveller. 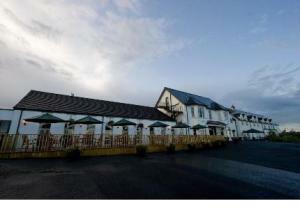 The perfect location to explore the beautiful North Antrim coastline. All rooms are No-Smoking. 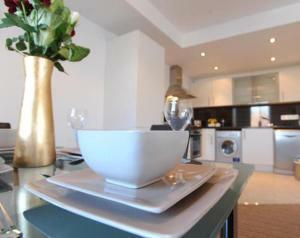 Great Victoria Street Apartments have a prime city-centre location, stunning views, a chic decor and 5-star facilities. 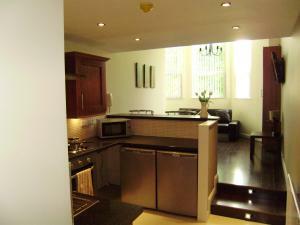 These 1 and 2-bedroom luxury apartments are furnished and equipped to the highest standards. Expect free broadband internet, floor-to-ceiling windows and private balconies with superb views. The unique location in the heart of Belfast is at the hub of the capital's best cultural, entertainment and retail hot spots. 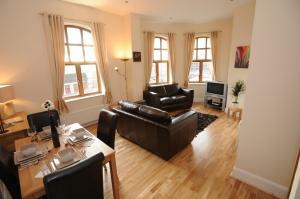 Enjoy a 2-night city break or a long stay - either way, you can be sure of a warm Belfast welcome. Please see 'Important Information' below for information on key-collection. Positioned in a picturesque row of stunning Victorian town houses, overlooking the marina, this small boutique-style guest house is ideally set within easy walking distance of local amenities. 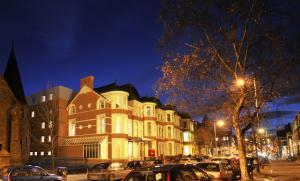 Recently refurbished, Beresford House now features 12 fully-equipped en suite guestrooms, each one with contemporary dec?r. 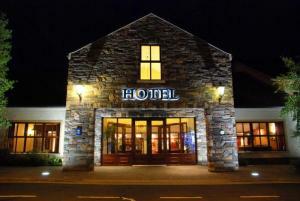 Providing friendly and personal service within relaxed surroundings, it presents itself as the ideal base for your stay in Bangor. During your stay in Bangor you can enjoy sporting activities, such as sailing, golf and bowling (all within 10 minutes of the house), during the day, before heading out to explore the vibrant nightlife, complete with a cinema complex, bars and clubs. Occupying a privileged seafront position on the world-famous Causeway Coast, Northern Ireland, this charming Victorian guesthouse, dating back to 1901, boasts panoramic views of the Atlantic Ocean. A haven for golfers, the Royal Portrush Golf Club is practically on the doorstep and there are 6 other golf courses within easy reach. If you would prefer to see the sights, the hotel is easily accessible to the world famous Giants Causeway, Dunluce Castle and the Bushmills Distillery.